Chinoiserie Chic: Are You Girly? 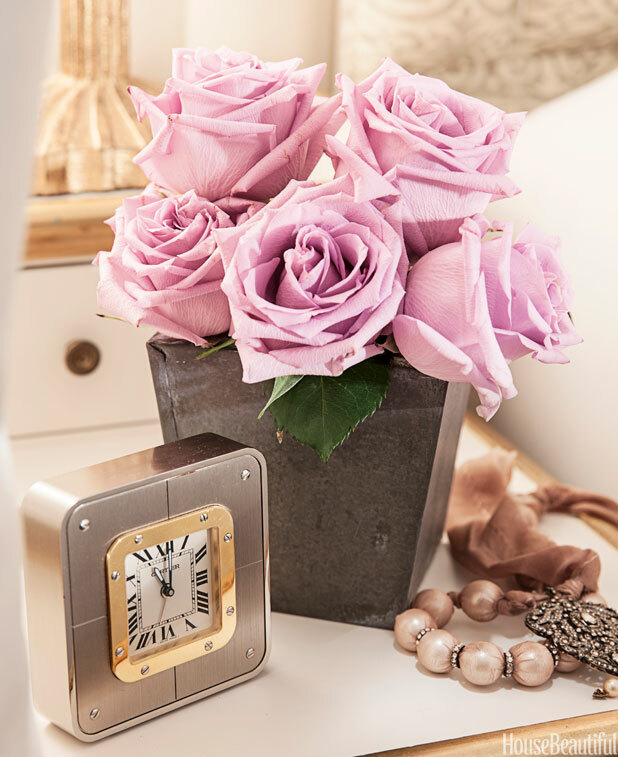 House Beautiful has a very cute piece called "You Know Your Decorating Style is Girly When...." I have posted many of the photos they used in previous posts and can answer yes to the vast majority of their questions. You can find it here. 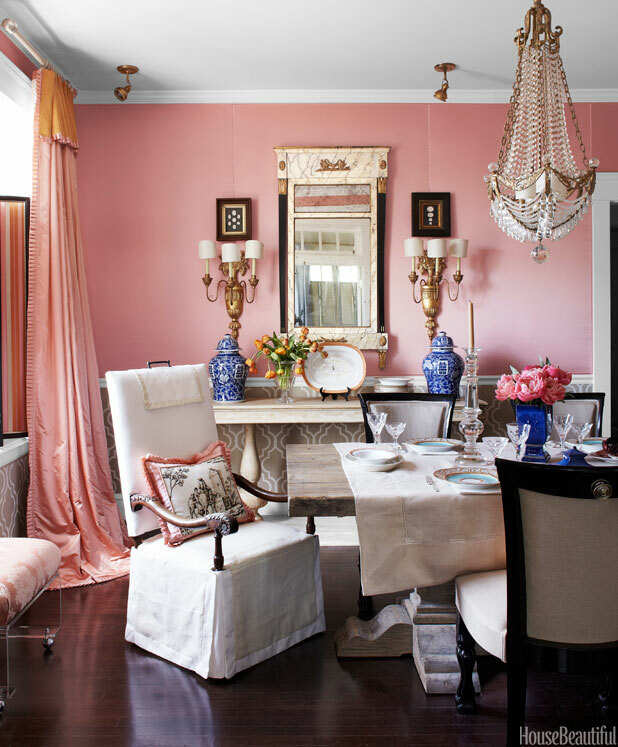 Is your decorating style feminine? 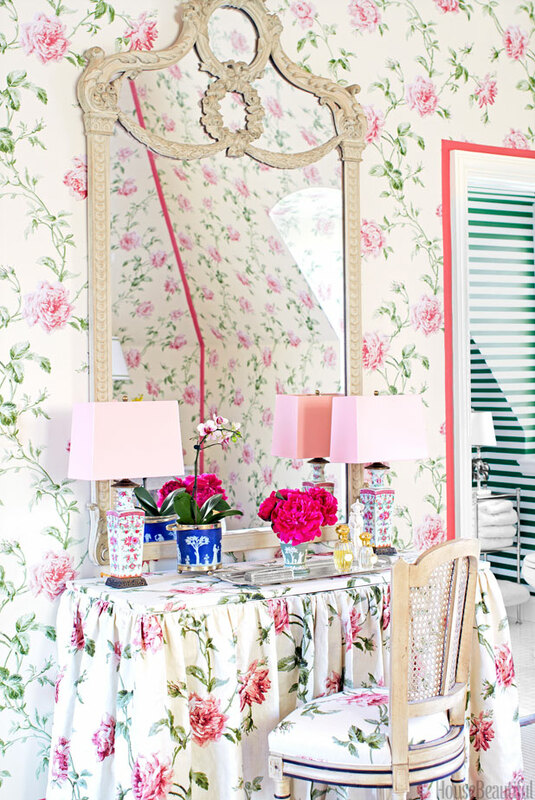 In your bedroom, a vanity is a necessity - I love this Ruthie Sommers' bedroom and just posted on it. You love wallpaper with flowers and birds - of course! 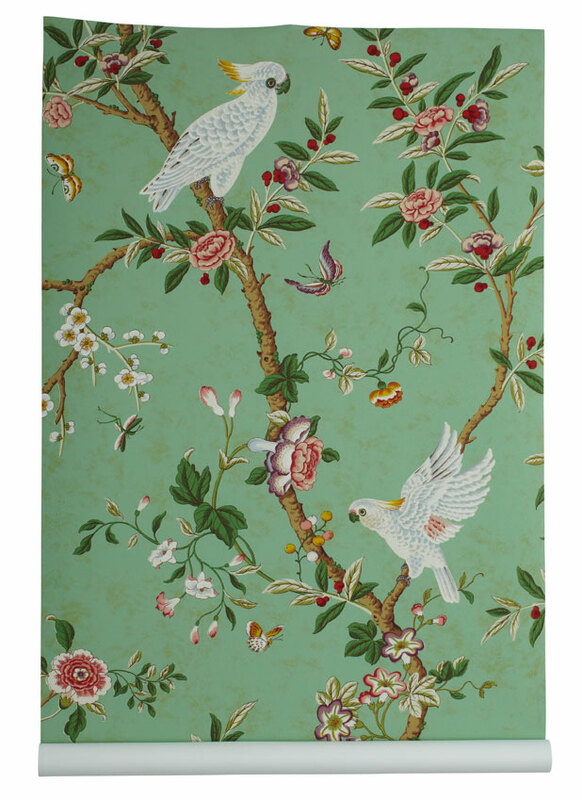 Doesn't the majority of Chinoiserie wallpaper have flowers and birds? 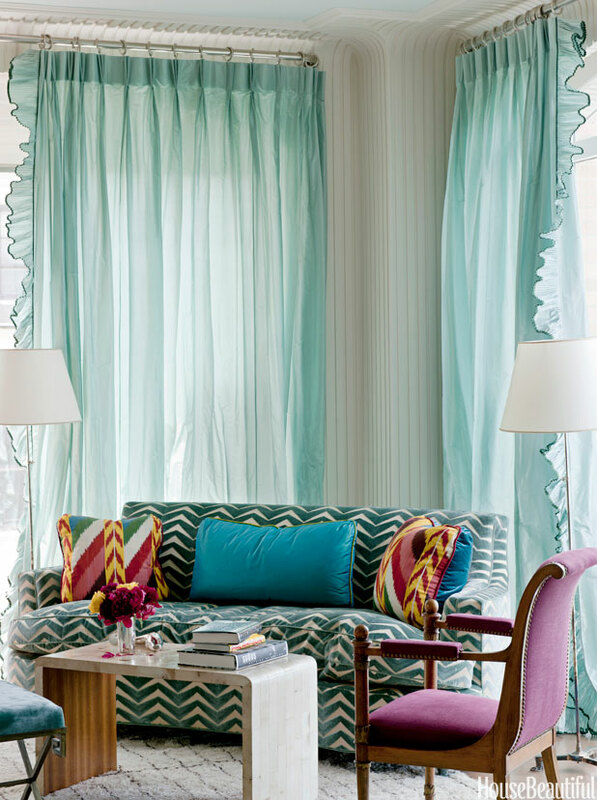 You love a good ruffle - I think Miles Redd has gone overboard with his ruffled curtains, but I still love ruffles. When you look up, you see chandeliers. What else, those ghastly recessed lights? 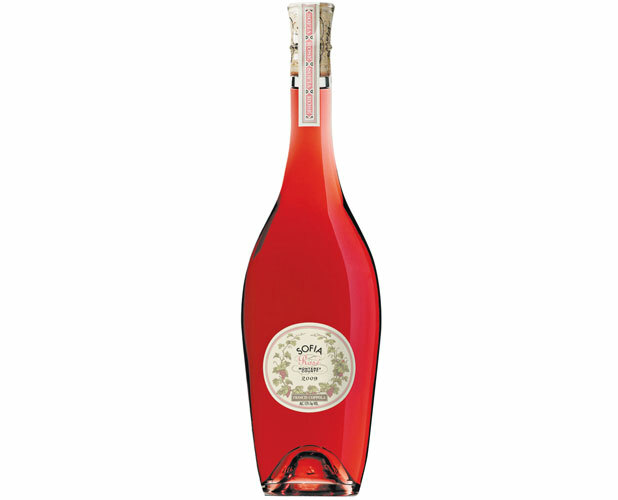 You always have pink rose in the fridge - does pink Champagne count? It better. You love Dorothy Draper - a big yes, and this book is in my library. Do you use jewelry as decoration? YES!!!!! In my bedroom, dressing room, laundry room, and living room. Any of your walls painted pink? Three of my rooms are painted pink. I couldn't live without pink. 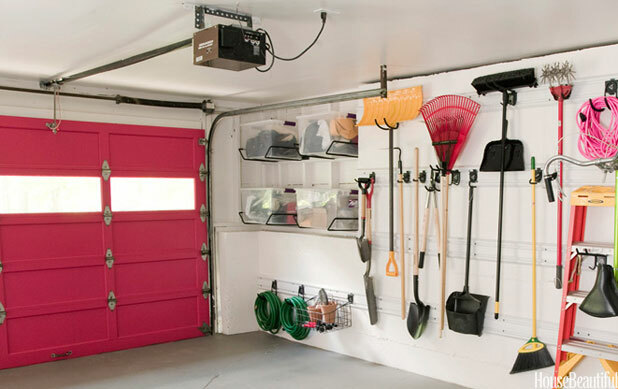 A pink garage - not yet, but this is fabulous! 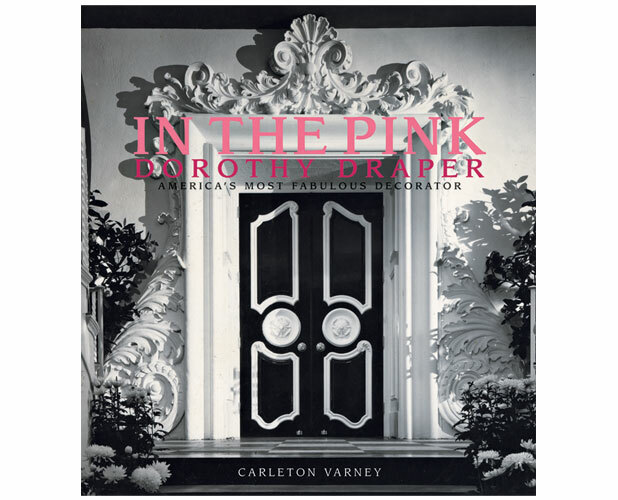 "Even if other inhabitants of your home aren't big on pink, they have to deal with it. " This fits me to a T.
Absolutely am girly and love this post! Thank you! Would adore this last room with a dark wood dining or side table, It would be both feminine and dramatic! My house HAS to look feminine. I like pretty. Thank goodness my husband isn't threatened!! I am definitely a girly girl and this post proves it, i found myself nodding to each and every one! LOVE this post! I'm about as girly as it gets! :) Fortunately, my husband lets me pretty much have free reign over the decorating of our home... but I do think he would put his foot down if I wanted to pain the garage door pink, haha! I loved this post so much, I linked back to it on my blog today... It is sooooo good!! !